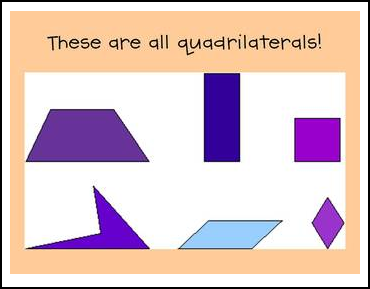 Use this PowerPoint to introduce or review basic geometry concepts. Print out 6 or 9 slide/page handouts for students to create their own geometry dictionaries. Use it to refresh that geometry vocabulary as testing season gets into full gear! If you like this product you might also like my Original Math Challenges and Brainteasers product which includes 46 math challenges and brainteasers. or my NEW Math Challenges and Brainteasers 2 product which includes 40 new math challenges and brainteasers. Please go to your “My Purchases” page (you may need to login). Beside each purchase you'll see a blinking “Provide Feedback” option. Simply click it and you will be taken to a page where you can give a quick rating and leave a short comment for the product. I love reading your comments and value your feedback greatly as it helps me determine which products are most valuable for your classroom so I can create more for you! Look for the star near the top of any page within my store and click it to become a follower. You will then receive customized email updates when I upload new products to my store. I typically give a 20% discount on all new products for the first 48 hours, so please follow and get in on the discounted fun! Nothing’s better than saving some moolah!